I’ve used active noise-cancelling headphones for over ten years now, and have owned several pairs of Bose, one of Sony, and most recently a pair of Sennheiser headphones. The Sennheisers are my favorites. I thought I’d write down why I’ve gone through so many sets of cans and what I like and dislike about them. I’m sure you’re familiar with Bose QuietComfort headphones. 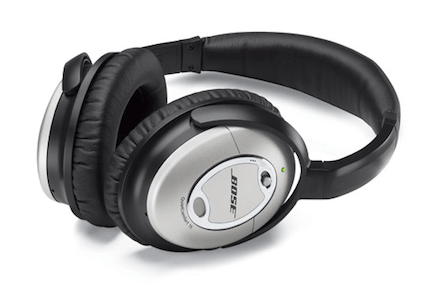 They’re the iconic “best-in-class” noise-cancelling headphones, the ones you see everywhere. Yet, after owning several pairs (beginning with Quiet Comfort II in 2003), I decided I’m not happy with them and won’t buy them anymore. Why not? They’re not very good quality. I’ve worn out two pairs and opted to sell the third pair that Bose sent me as a replacement. Various problems occurred, including torn speakers that buzzed and grated. I just got tired of sending them back to Bose for servicing. They’re more expensive than I think they’re worth, especially given the cheap components used. They don’t sound bad—but to my ears they still have the classic Bose fairy-dust processing, which sounds rich and pleasant at first but then fatigues me. They produce a sensation of suction on the eardrums that becomes uncomfortable over long periods of time. They can’t be used in non-cancelling mode. In other words, if the battery is dead, they’re unusable. On a purely personal note, I think Bose crosses the line into greed and jealousy. I know this in part because I used to work at Crutchfield, and saw quite a bit of interactions with Bose. As an individual—well, try selling a pair of these on eBay, and you’ll see what I mean. I had to jump through all kinds of hoops after my first listing was cancelled for using a stock photo that eBay themselves suggested and provided in the listing wizard. Here is the information the take-down notice directed me to. On the plus side, the fit is very comfortable physically, they cancel noise very well, and they’re smaller than some other noise-cancelling headphones. Also on the plus side, every time I’ve sent a pair in for servicing, Bose has just charged me $100 and sent me a new pair. When I sent my last pair of Bose in for servicing, they replaced them with a factory-sealed pair of new ones in the box, and I decided to sell them on eBay and buy a set of Sony MDR-NC200D headphones, which were about $100 less money than new Bose headphones at the time. I read online reviews and thought it was worth a try. First, the good points. The Sonys are more compact even than the Bose, although as I recall they’re a little heavier. And the noise cancellation works quite well. The passive noise blocking (muffling) is in itself quite good. You can just put them on without even turning on the switch, and block a lot of ambient noise. 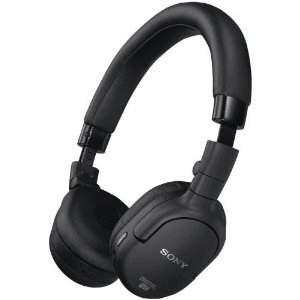 The sound quality is also quite good, although there is a slight hiss when noise cancellation is enabled. Active cancellation is good, but not as good as the Bose. However, it wasn’t long before I realized I couldn’t keep them. The Sonys sit on the ear, and don’t enclose the ear and sit against the skull as the Bose do. They’re on-the-ear, not over-the-ear. Although this doesn’t feel bad at first, in about 20 minutes it starts to hurt. After half an hour it’s genuinely painful. This may not be your experience, but my ears just start to hurt after being pressed against my head for a little while. I had to sell the Sonys on eBay too. My last stop was the Sennheisers. The Sennheiser PXC 450 headphones are midway in price between the Bose and the Sony: a little less expensive than the Bose. I’ve had them a week or so and I’m very happy with them so far. This is not the first pair of Sennheisers I’ve owned. I’ve had a pair of open-air higher-end Sennheisers for over a decade. I absolutely love them, so you can consider me a Sennheiser snob to some extent. I’m pleased to report that the PXC 450s are Sennheisers through and through. They have amazing sound, and the big cups fit comfortably around my ears. They are a little heavier than my other Sennheisers, but still a pleasure to wear. The nice thing is that not only does noise cancellation work very well (on par with Bose’s, I’d say), but there is no sensation of being underwater with pressure or suction on the eardrums. Turn on the noise cancellation switch and the noise just vanishes, but there’s no strange feeling as a result. Also, these headphones can work in passive mode, with noise cancellation off, and don’t need a battery to work. On the downside, if you want to travel with them, they’re a little bigger than the Bose. However I’ve travelled with the Bose headphones several times and honestly I find even them too large to be convenient. I don’t use noise-cancelling headphones for travel, as a result. Another slight downside is that the earcups aren’t completely “empty” inside. There are some caged-over protrusions with the machinery inside. Depending on the shape of your ears, these might brush your ears if you move your head. I find that if I don’t place the headphones in the right spot on my head, they do touch my ears every now and then. 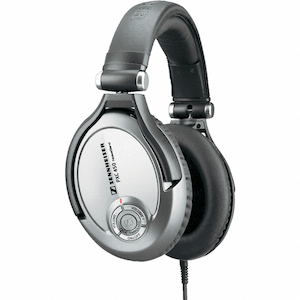 After owning several pairs of top-rated noise-cancelling headphones, I think the Sennheisers are the clear winners in price, quality, comfort, and sound. Your mileage may vary.